Campaigning for President Bush in 2004, Mayor Ed Koch was often asked about the motives of Christian Fundamentalists in supporting Israel. He dismissed those concerns, joking, "When the Messiah shows up in Jerusalem, we can welcome him with open arms and then inquire, 'Is this your first visit to Jerusalem, sir, or have you been here before?' " Everyone laughs because of course we do not share those beliefs. In other words, let us ignore their beliefs as foreign to us, and concentrate on our common support of the State of Israel. However, it is important to understand another person's beliefs even if you do not share those beliefs. Beliefs are what motivate people, so understanding their beliefs allows us to anticipate what they might or might not do. For example, certain Jihadists believe that their "martyrdom" will be rewarded with eternal bliss in the company of 72 virgins. Although we rightly view suicide bombings against civilians as heinous crimes against humanity, this is an important piece of information. This means for example, that cutting off escape routes is not an effective means of preventing terrorism; the terrorist has no intention of escaping in the first place. So why do Christian Fundamentalists support Israel? And why should we care what they think? 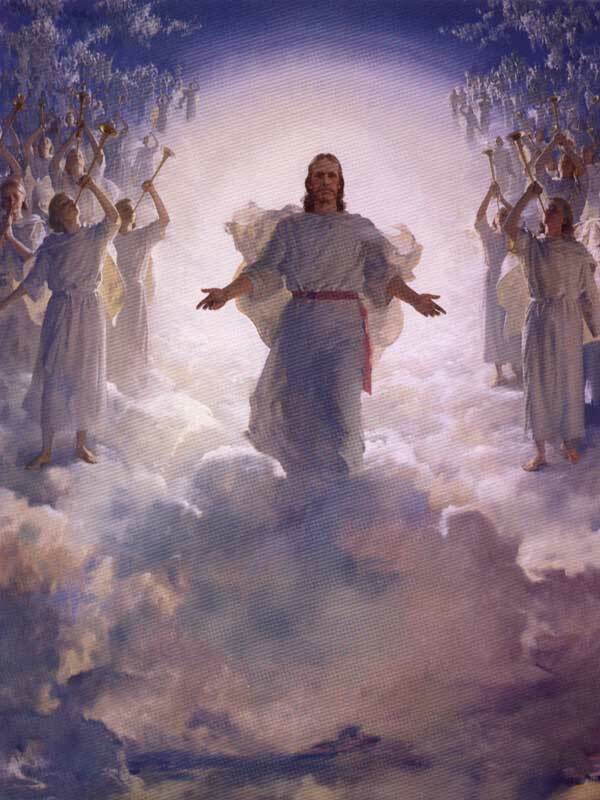 While many Jews hope and pray for the coming of the Messiah, certain Christian groups are counting on the "Second Coming" as certain and imminent. The current administration is often criticized for their poor planning. However, long-term planning for most worldly concerns is irrelevant according to a strictly fundamentalist Messianic Christian view of the world. Why balance the national debt or the balance of trade if Jesus will return before most of that debt becomes due? Why worry about the greenhouse effect over the next few decades if Armageddon is near? Why worry about the depletion of our natural resources if God will provide for us? Why invest money in science and math education when we will shortly be moving to a society where theology trumps technology? Why conduct stem-cell research if mortality will be abolished before the research is completed? Literally, the Republicans are being encouraged by the Christian Right to cut taxes, spend money, and pollute like there is no tomorrow, for they literally believe that there will be no tomorrow in the mundane sence. Nevertheless, even more troubling than the Christian right's indifference to long-term planning on domestic policy is the foreign policy agenda and how it affects Israel. Christian Dispensationalists had long viewed the existence of the Modern Jewish State as a precondition for the Second Coming. However, what escapes Koch's attention is that the Christian need for the continued existence of a Jewish State is not matched by a need for the continued existence of actual Jews! Some American fundamentalist Christians believe in pre-tribulation. In popular culture, this is best known through Tim LaHaye's Left Behind series which has sold over 65 million copies since 1995. While the novels are sold as fiction, according to LaHaye and an increasing number of Americans, the story they tell is nothing less than biblical prophecy born from the Book of Revelation. Many of his readers agree that this pre-tribulation must involve the death of large numbers of Jews. These Dispensationalists interpret the Great Tribulation described in Jesus' last words (Matthew 24, Luke 21) not as a reference to the Roman siege of Jerusalem in 70 A.D., but to a period of seven (or according to some three and a half) years of tribulation. Israel's conflict with its Arab neighbors. This will involve the persecution and death of many people on Earth, but will be concentrated on the State of Israel. This prophecy requires the death of 3,347,670 Israeli Jews. Writers like Gary North hold this position, even going so far as to saying that we should support Israel over Palestine, simply to preserve a "State of Israel" so that it can be destroyed during end times (otherwise end times may never come). These beliefs motivate a certain support for the State of Israel, but an inconsistent support. When President Bush penalized Israel for constructing the security fence by revoking $289 million in loan guarantees, he may have been acting on such beliefs he held himself or which were held by his Fundamentalist Christian supporters. The security fence serves to stop suicide bombers. From the Fundamentalist Endgame scenario, such bombers are not an existential threat to the State of Israel. Indeed, a few deaths here and few dozen deaths there can be viewed as a precursor to the widespread death and destruction they may feel is needed to bring on the Second Coming. According to Cheryl Seal, "most Israelis understand the subtext of this alliance, but they are loath to disclaim it." Rabbi Richman summarizes this idea, "Basically, we're a doormat for them to get to their own eschatological culmination,. It's a pretty scary thing, because the whole rapture thing that is popular in some Evangelical circles, which calls for a fulfillment of the hard times for Jacob, is essentially an invitation to genocide." With friends like these, Israel does not need enemies. 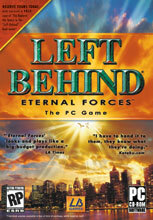 Merry Christmas, Now Die (The Forward, Dec. 22, 2006) describes a video game "Left Behind: Eternal Forces" based on Tim LaHaye's Left Behind series: "The player is a member of the newly faithful who must convert of kill evil nonbelievers".